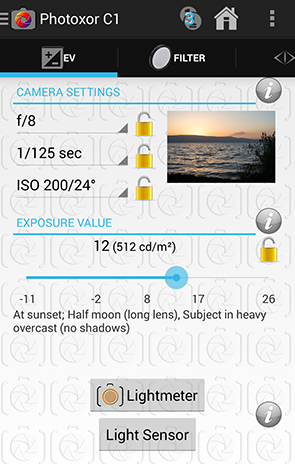 Photoxor C1 Version 1.4.4 is available now. Upgrade or download for free now from Google Play. Additionally to the device camera based lightmeter we now support a built in light sensor to measure illuminance. If your device provides a light sensor then the new "Light Sensor" button is enabled. Have a try and see how accurate the sensor is on your device! The compass now shows the strength of magnetic field. This helps you to determine if there are any strong magnetic or electric influences around, which may negatively affect accuracy.